Based on research about after-school experiences and dilemmas conducted over a four-year period with employed parents and their children, this book draws on the stories these parents and children told--often using their actual words--to emphasize the wide variety of children's after-school arrangements, children's movement over time in and out of different arrangements, and the importance to children of multiple facets of their after-school arrangements, not simply the presence or absence of an adult caretaker. The book also emphasizes that children are not randomly assigned to after-school arrangements. Rather, parents and children struggle to reach optimal solutions to what are often difficult child care dilemmas. To understand these dilemmas, and the diverse strategies that families adopt, one must attend to the individual situations of children as family members understand them. 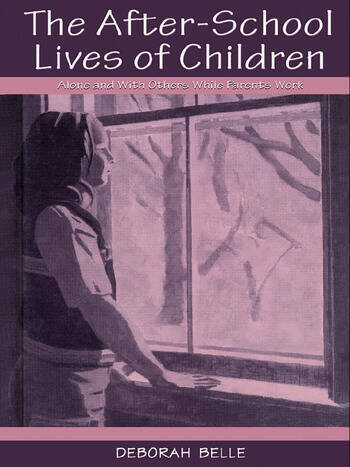 This book was written to contribute to the development of new family and work policies and practices by illuminating the difficulties families face and their consequences for children. Written for psychologists, sociologists, and other social scientists who study families, maternal employment, child care, or child development, it will also be useful for parents, educators, community leaders, and public policymakers concerned about the well being of children whose parents are employed. Contents: Preface. Introduction. Do School-Age Children Need Adult Supervision? A Different Approach to the Question. Dilemmas. Changes in After-School Arrangements Over Time. Stressful Challenges in the After-School Hours. Social Relationships and Social Support. After-School Arrangements and Children's Well-Being. Implications. "People who study families and people who serve families will see the families they study and serve in the pictures that are created out of the words of the children and parents who experienced these after-school hours presented in The After-School Lives of Children. Belle's presentation does justice to their hope that such lives can be better for the families in the future." "In the face of these findings, the public policy issues discussed in the final chapter on implications seem entirely appropriate and not at all overstated." "[Belle's] research-described in both scientific and human terms-illuminates the complexity of the problem and encourages us to consider the broad array of answers that defy simple classification into positive and negative outcomes."